Great post! 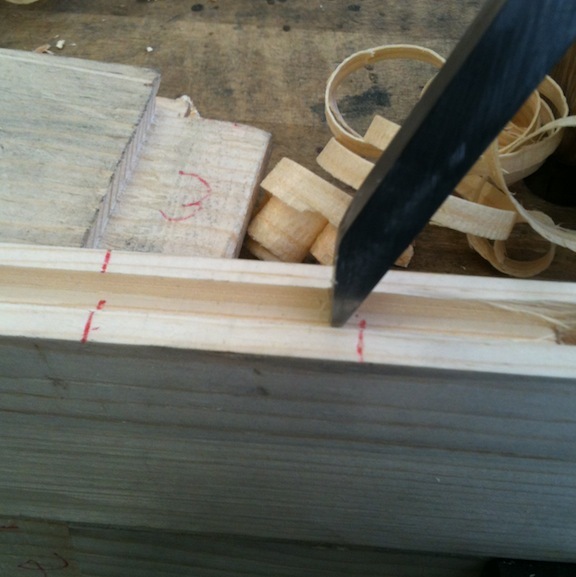 Did you see the jig for chopping mortises in the latest PWW mag? Thanks Marilyn! I haven’t gotten the new PWW yet, I’ll have to check it out. 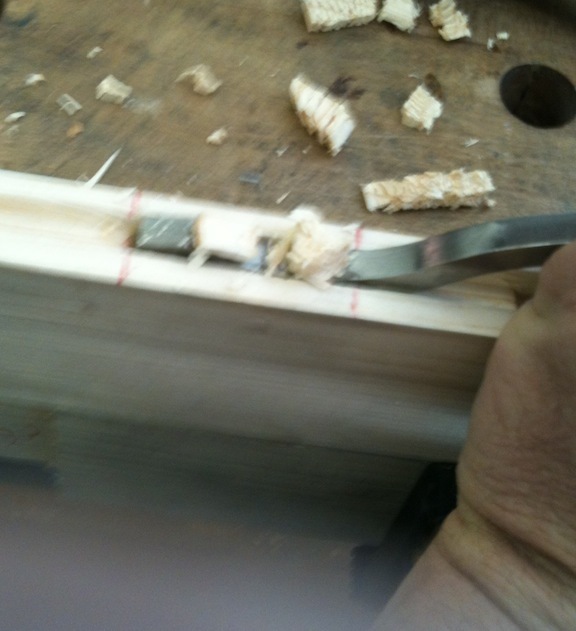 I tried a mortise with bench chisels after watching Paul Sellers do it. I had the same problems with square and such. 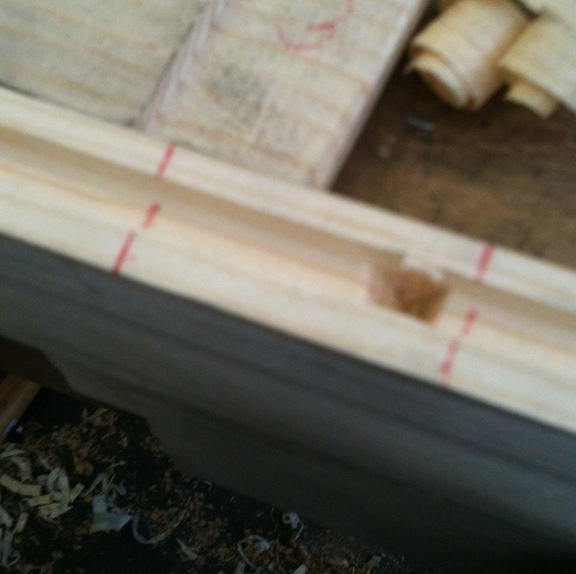 Mine was a through mortise. Is the pig sticker you’re using an old one? 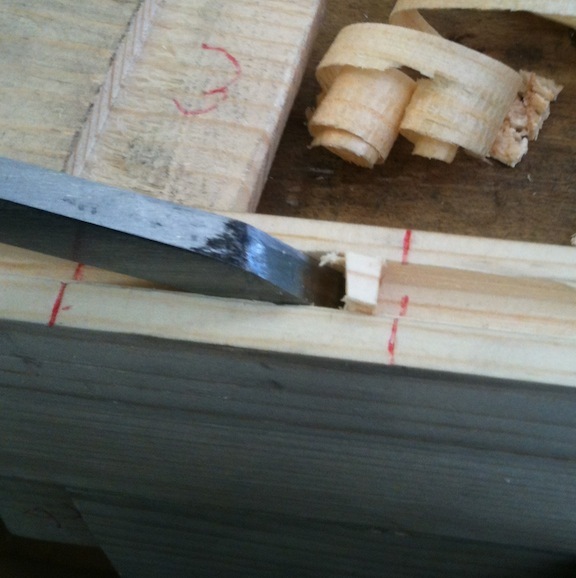 Ralph, I think part of the problem with keeping the chisel plumb to the (intended) mortise walls is that when I’m chopping a mortise my inclination is to have the mortise layout running side-to-side in front of me — but from that orientation it’s hard to tell if the chisel is plumb. 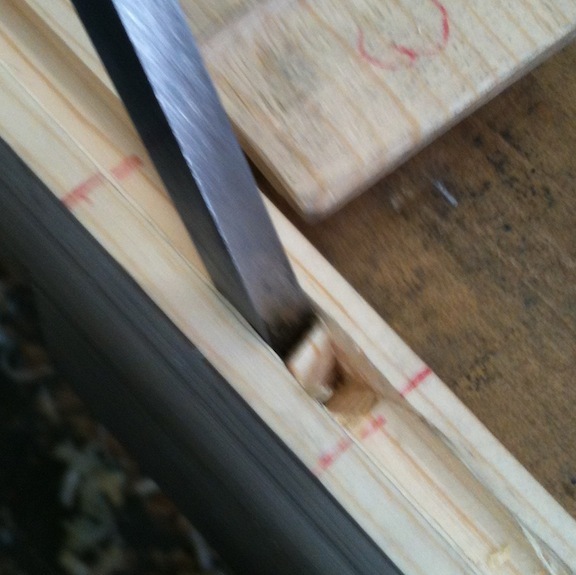 I bet changing the orientation of the board so I’m sighting down the length of the mortise would eliminate problems like that. 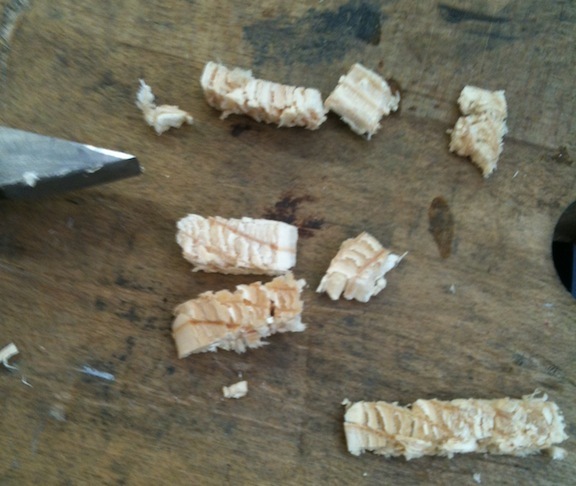 And yes, this is a “pig sticker” style chisel. 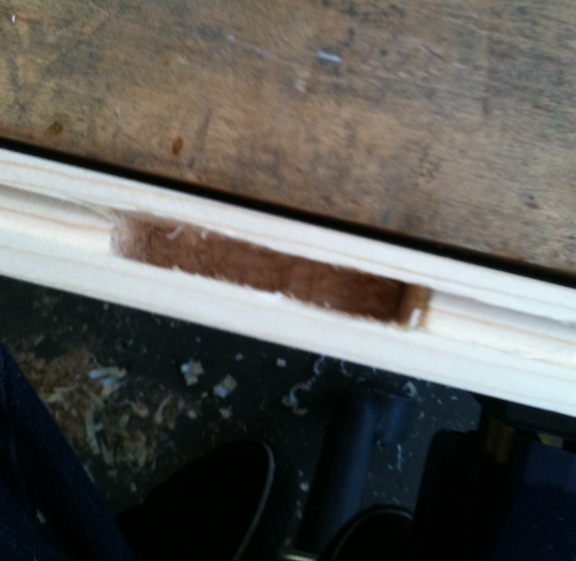 It was a bit over 1/4″ and rusty, I stoned it down to exactly 1/4″. 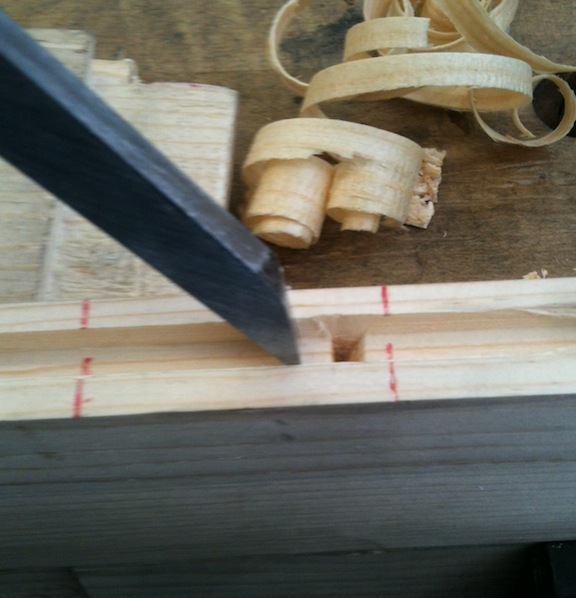 I really like this style of mortise chisel, although it’s overkill in this squishy white pine.